Even though companion animals are not directly impacted by the Gulf oil spill, they are indirect victims of this crisis because of the economic impact on their families. As individuals lose their jobs or experience a decrease in income as a result of the oil spill, they are looking to animal shelters and rescue organizations to help with their pets. The information below is from the Animal Rescue New Orleans (ARNO) website and describes the problem and a program they have that will help save these innocent victims. ARNO is experiencing a huge amount of surrenders . . . we now have almost as many pets in foster care as we have in the shelter because people cannot afford to keep their pets. Folks are traveling up to us in Jefferson Parish, the outskirts of New Orleans, in the hopes that our no-kill shelter can take their pet. The shelters in Plaquemines Parish and the St. Bernard Parish shelter are beyond full. Our shelter is no different, but if one goes out we have room to give another a spot. It is hard to resist the begging, the tears, the pleading of those who have been effected by the most recent disaster to hit Louisiana. Whether fisherman, seafood market employee, waitress, oyster shucker, tour boat operator, or one of the many residents whose lives depend on the tourist and fishing industry in the lower end of our state. Many with new mortgages on boats and restaurants, putting them back into business after Katrina destroyed their income. Can they take another hit right at the beginning of a more-than-active-predicted hurricane season? The effect is creeping north to New Orleans" businesses, with restaurants and hotels cutting back on personnel, large tour groups cancelled, and just what you would expect from "sportsman"s paradise" going to crude oil coated booms. Wildlife, our rare tiny sea turtles and the birds are certainly affected and are some of the most caustic images seen by the public on television. This is where we need your help. A program we have in place since late 2006, we call it our Pet Retention Program, needs bolstering big time with your donations. This program allows individuals or families who are of low income or currently out of work to retain their pets with ARNO footing the bill for the pet. We provide whatever the pet needs, i.e. food, medical care (maintenance and extraordinary), transportation to and from the vet, dog houses, and even a carrier to make sure they have provisions to evacuate with the pet. The caseworker assigned to the family stays assigned to that family to assure that care is consistent and to know of social services they might need for the human members of the family. We even have a tri-lingual caseworker, so those who speak only Spanish or French fluently can communicate easily with us. The only thing we request is that if the animal is intact, we insist spay/neuter at our cost. 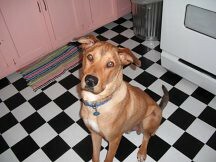 ARNO has served up to 63 pets at a time, and we need to fund and expand in light of the current needs of the community that surrounds us. [We have even made burial arrangements for one of our indigents and found her pet a new home.] To help more, we need your help. 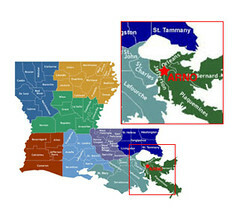 ARNO is located in Jefferson Parish, Louisiana, a parish that extends all the way to the Gulf of Mexico. We know that citizens and nonprofits are suffering right now due to the current economic recession in all parts of our country. Locals practically scoffed at this current recession, because that is all we have known since Katrina. We have all learned how to get by on less . . . but now we need to step up to the needs of these animals if we are able. ARNO cannot help but to respond as best as we are able to these animals who through no fault of their own, again, are victims of a disaster. Give a gift to this program and sponsor a family"s pet for $25 a month. We will send you details of what your donation supplied and about the family you are helping. You can specify that your gift is recurring for "x" amount of months on the PayPal link, and in the note field put "Pet Retention Program" so we will know you want to help those less fortunate with their pets. Click here to donate to ARNO. Thank you so much for supporting ARNO and these families, and God save Louisiana! 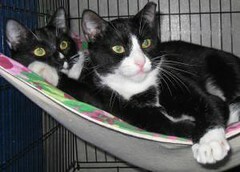 Photos of adoptable animals from ARNO courtesy of Petfinder.com.